Nothing divides humanity more than chopsticks. Half of humanity knows how to use them. The other half curses their very existence. Know how to use them and you appear refined, urbane, cosmopolitan, and/or Asian. Don’t know how to use them and you suffer the ignominy of having to request a fork making you appear apish, uncultured and/or a Dallas Cowboys fan. Fortunately, ChopValue unifies humanity by recycling and elevating chopsticks to high-function, high-design that appeals to a universal appreciation for beauty. Take the ChopValue Starter Set, a kit of modular, modern, and handmade honeycomb shelves and tiles. 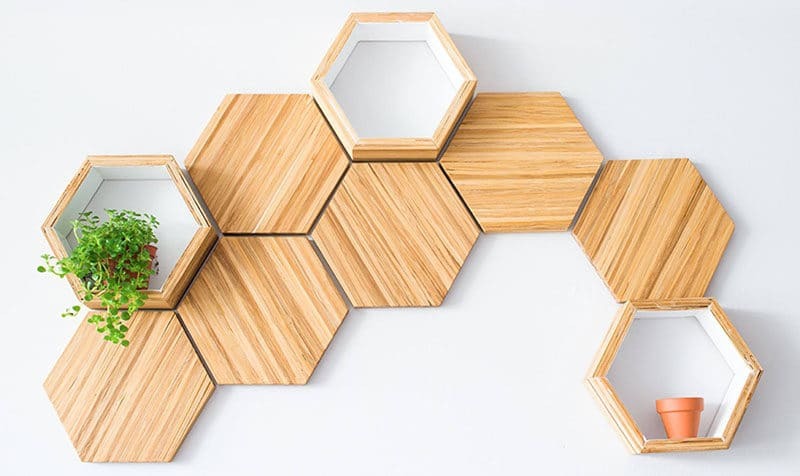 Each tile and shelf is made out of compressed recycled bamboo chopsticks cleaned and collected from Japanese sushi and Asian restaurants. Align the tiles and shelves however you see fit to create your own functional, contemporary wall art.